I have been busy finishing up two non-fiction survival books which will be released shortly. Also new this month is the release of a boxed set of all four eBooks from my Practical Survival Series which focuses on the skills, gear, and mindset for handling urban and wilderness emergencies. Lastly, I had the recent pleasure of having an interview on Fiona Quinn's fine Thrillwriting blog. This one focused on flash floods and what to watch out for when traveling in canyon country. I will be returning to featuring survival tips in the upcoming newsletters. If there is a subject of interest you would like me to cover, please let me know. Have a wonderful holiday season and enjoy the wilds! 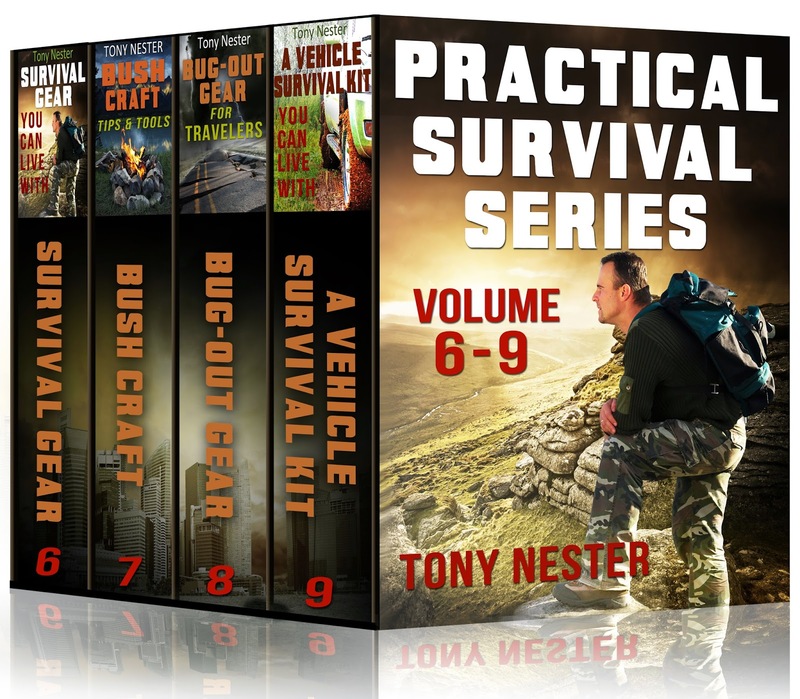 Tony Nester is the author of numerous books and DVDs on survival. His school Ancient Pathways is the primary provider of survival training for the Military Special Operations community and he has served as a consultant for the NTSB, Travel Channel, Backpacker Magazine, and the film Into the Wild. When not on the trail, he lives in a passive-solar, strawbale home in northern Arizona. For information on Tony’s books, gear, or bushcraft courses, visit www.apathways.com. Copyright©2008-2015. All Rights Reserved. The content of this survival tips blog is owned exclusively by Ancient Pathways, LLC. [Flagstaff, Arizona]. Receive our periodic wilderness skills emailers, survival school newsletters, and community announcements.